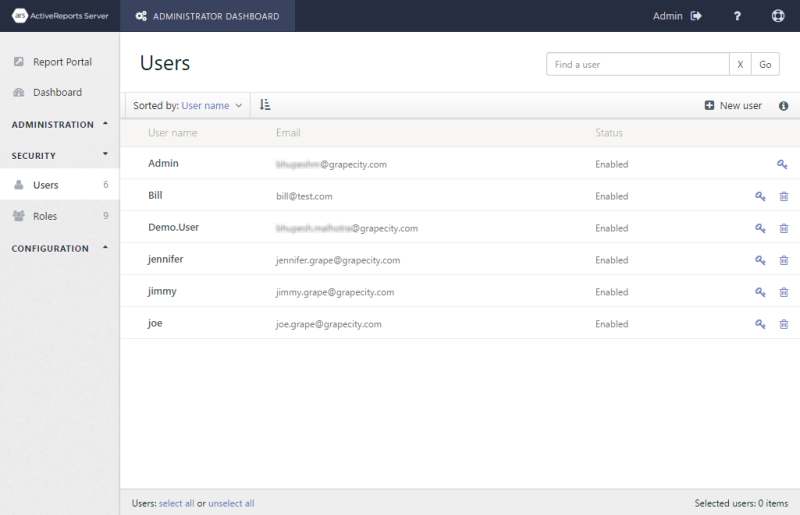 Here we will create three users who can log into the Report Portal and assign them to the roles we created. From the Security section of the menu to the left, click Users to display the Users screen. 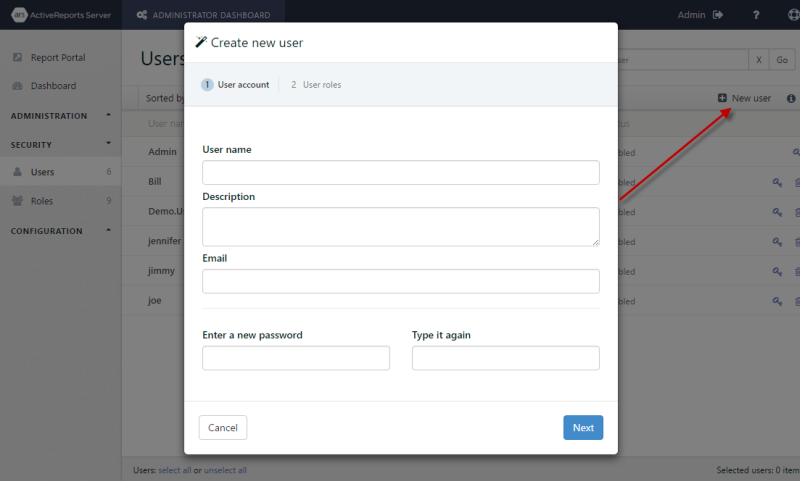 Click New user to create a new user. The Create new user dialog appears. In the Create new user dialog, set the following values and click Next. Enter the password* of your choice. *To make it easy to remember since this is only an example, I'm giving Joe the password "joe." 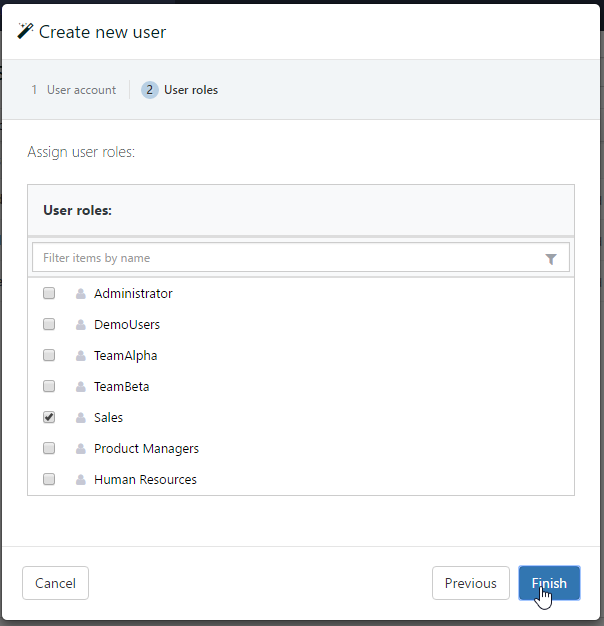 In the Assign User Roles page that appears, select Sales and click Finish. The user account "joe" is added to the list of users. In the same way that we created the user "joe," now we'll create the users "jimmy" and "jennifer." Use the following values. Enter the password of your choice.